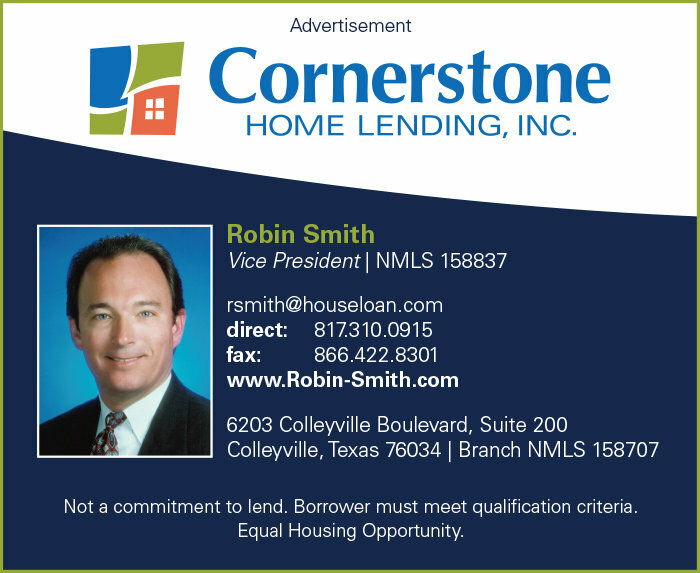 With more than two decades of combined real estate and mortgage banking experience, Robin Smith, Vice President of Cornerstone Home Lending, Inc., is an accomplished professional who has built his successful career on in-depth knowledge of the entire home-buying process and an unparalleled commitment to personal service. Ranked in the top 1 percent of Mortgage Loan Originators nationwide, Robin is dedicated to obtaining the best and most competitive mortgage services for his clients, and he is committed to making each one of them a Customer for Life. Robin is also a proud honoree of The Colleyville Courier's and The Grapevine Courier's 2011 Best of the Best list, which was awarded based on his satisfied customers' votes. 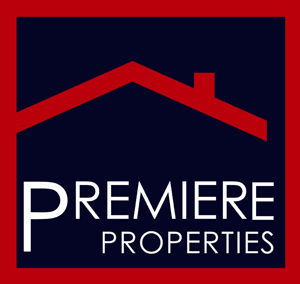 His belief that homeownership is one of the single largest and most important investments that consumers make earned him this honor, as well as a strong base of loyal customers and a large assembly of referral relationships within the real estate community. Robin is a native Texan and graduated from the University of North Texas with a Bachelor of Business Administration with concentrations in Banking and Finance. With experience in underwriting, as well as commercial Real Estate and private banking, Robin's interest in financing strategies eventually lead him into mortgage banking. He quickly rose to the top of his field, and has been one of Cornerstone's Top Producers since joining the company in 1999. Since its 1988 inception, Cornerstone Home Lending, Inc. has operated with a business philosophy based on providing stellar support service to their loan originators, who in turn deliver unparalleled service to their borrowers. In that spirit, Robin and his team of professionals are dedicated to providing cutting-edge customer service and are always available to answer questions and make sure every detail is covered from pre qualification to closing. In spite of his active career, Robin's top priority is always his family. His favorite pastime is spending time with his grandchildren, and he also enjoys boating and gardening. At Cornerstone Home Lending, Inc., you will discover an atmosphere of enthusiasm, a spirit of dedication and a great desire to build quality relationships. Experience the Cornerstone difference! Contact Robin Smith today at 817.581.0398 or rsmith@houseloan.com.